Growing up in the 1970s I used to see old episodes of Hogan’s Heroes, which was a dark comedy about life in a World War II prisoner of war camp where the Allied prisoneers were secretly there for espionage purposes under the noses of their inept captors. One character, Sargent Schultz, always remarked to Colonel Hogan, “I hear nothing. I see nothing. I know nothing!” playing dumb, not wanting to rock the proverbial boat between the prisoners and those running the camp, including his superior Colonial Klink. Schultz’s main goal was to avoid trouble, and as long as he did, he felt it unnecessary to concern himself too much about the prisoners’ activities. The character to me as I got older and thought about old Shultzy was a parody on how some Germans during WWII just followed orders, not wanting to rock the boat just to survive the war, ignoring and not wanting to take responsibility for the Holocaust and war atrocities, in general. So what in the world does Sargent Schultz have to do with climate science denial? Not naming any names when I was at The Weather Channel, and as I became more involved with the climate issue back in the 1990s and 2000s I came to realize that professionally meteorologists should know what is happening to the atmospheric environment more than any other people with jobs except for climatologists. Man did I ever get into some tifts with other meteorologists arguing that the planet was undergoing a warming trend, with good scientific data right under their noses. If I am to point fingers, though, I need to aim some at myself. Perhaps many of my arguments came across as too arrogant. Maybe the old Climate Guy came across as too sure of himself, emotionally turning off some of the very people that should have easily been convinced by climate science. 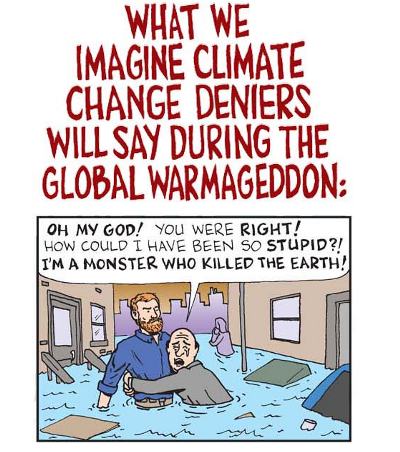 Prior to about 2005 I didn’t realize how deeply and decisively engrained the climate issue had become on the brains of those on the denial side of the global warming argument both in and out of TWC with most professionals already making up their mind. Coming to personally know many a met climate change contrarian, what I saw mostly was an attitude of not wanting to take any responsibility for admission of being wrong. Many stubbornly to this day remain steadfast to the belief that man is not affecting the climate via carbon pollution because deep down any admission of being wrong has not yet been psychologically processed by individuals coming to terms with extreme, horrible ramifications, especially for any progeny they might have. Perhaps some mets can’t bear the thought of fingers from children and grandchildren pointed at grandpa. In a real way those who were knowingly part of any delay to correct the climate problem were committing crimes that can be likened to those associated with the Holocaust. Like the lack of good Germans during the 1930s that could have stopped Hitler, there were too many meteorologist Sergeant Schultzes from 1990-2010 only wanting to forecast weather who could have been much more vocal on the climate issue after scientifically looking at weather and temperature trends. Pride can be a dreadful human trait. Also, pride and science don’t mix very well. Admittedly, being wrong on the climate issue, though, isn’t quite like being wrong stating that the Earth is flat. From 1990-2010 the signs that Earth was round (or warming up due to carbon pollution) were a bit more subtle than having one person, Magellan, sail around the thing definitely proving that the planet was not shaped like a pancake. The warming trend due to Mount Pinatubo and other factors came in fits and starts, with Mother Nature sowing seeds of doubt. 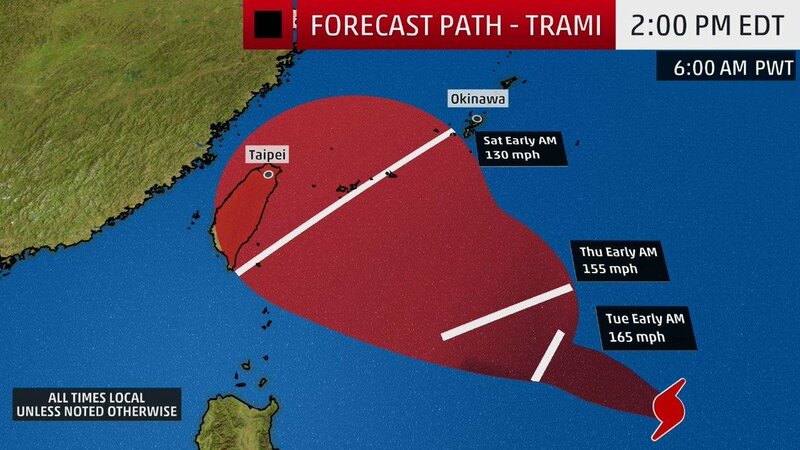 Still, the ramifications in the long run for being wrong about what can affect the climate were and are far worse than being wrong about the shape of the planet. Meteorologists should have trusted climatologists for scientific answers. Some people should turn in their science cards for blindly ignoring data, if not distorting the truth… and yes I still know a few old mets who try to do this to this day on charts. So what if mankind continued to believe the Earth was flat? There is nothing that anyone could or can do about the shape of the planet. Now climate change, on the other hand, is a different matter. We as a species have the technical ability to thwart climate change through some hard mitigation and collective will. The key words here are “hard mitigation,” since the path forward won’t be easy, and the longer necessary energy changes are delayed the more difficult the way forward will be. If enough Sergeant Schultzes, the foot soldiers of Germany who were very close to the hierchy of the Third Riche brain trust, had come forth and taken a stand during the 1930s, would history have been different during the 1940s? Probably so. Meteorologists from 1990-2010, particularly those on-camera presenting day to day weather to the public, should have taken a very hard stand on the air and in blog posts. Their help could have changed history. It’s still not too late for on camera meteorologists to help humanity avoid a precipice like it fell into in September 1939. Perhaps fear of ridicule, not taking the more popular climate change stand, or fear of losing an audience via low ratings, all played into silence and denial from most mets during the 1990-2010 period. It’s understandable that folks are shortsighted only wanting just to retain a good job enjoying a nice lifestyle. Good Germans who weren’t Nazis during the 1930s began fearing for their lives as the disease of Fascism festered in Germany during that decade. Most meteorologists during the 1990s and 2000s never really needed to be concerned about death threats, though, unlike a few climatologist like Dr. Michael Mann. It takes someone strong like Winston Churchill to take an unpopular stand. Meteorologists, though, had the winds of data and science at their backs well before 2010. I’ve marked the date when the American Meteorological Society came out with a strong, scientific consensus statement on climate change: August, 20, 2012. https://www.ametsoc.org/ams/index.cfm/about-ams/ams-statements/statements-of-the-ams-in-force/climate-change/ Why so late in the game when climatologists had good consensus on global warming as early as 1980? There are other reasons beyond the ones listed so far in this essay. Most operational mets who got on T.V. and radio didn’t go to grad school, not having as much education as those in the climate field. Still, this isn’t that much of an excuse since nearly all mets at least had to get bachelors of science degrees. Many are what I term “snow hounds” not wanting to come to term with what warming might do to their beloved cold weather. I still can’t understand why some met who likes snow would not want to do everything in their power to protect the environment producing the traditional white stuff. There are maybe a few even with doctoral degrees who are paid off by big brown energy to be contrarians. I have my suspicions, but can’t do any definitive finger pointing. Will there be a reckoning for climate science denying meteorologists? Much like those “good” Germans of the 1930s that were not officers but did nothing to thwart the powers that be, probably not. There probably won’t be any Nuremburg type trials for mets, some who have been foot soldiers of denial, no matter how awful climate change gets. But, for those generals that have staunchly delayed mitigation who were for famous getting the public’s attention, leading many astray from true science? I think so. They just won’t have to face a hanging judge, but most will have to contend with a bad conscience. Am I being harsh, and do I come off as bitter here? Perhaps. But, it pains me to state that those in my profession due to their knowledge at the forefront of the climate issue should have and could have been more proactive, if not in the streets marching for green energy change. What if it is learned in the next few years that due to inaction in the last three decades 20-30 feet of sea level rise is inevitable from Antarctic melt no matter what is done via mitigation in the future, for example? All professional meteorologists, think about that. 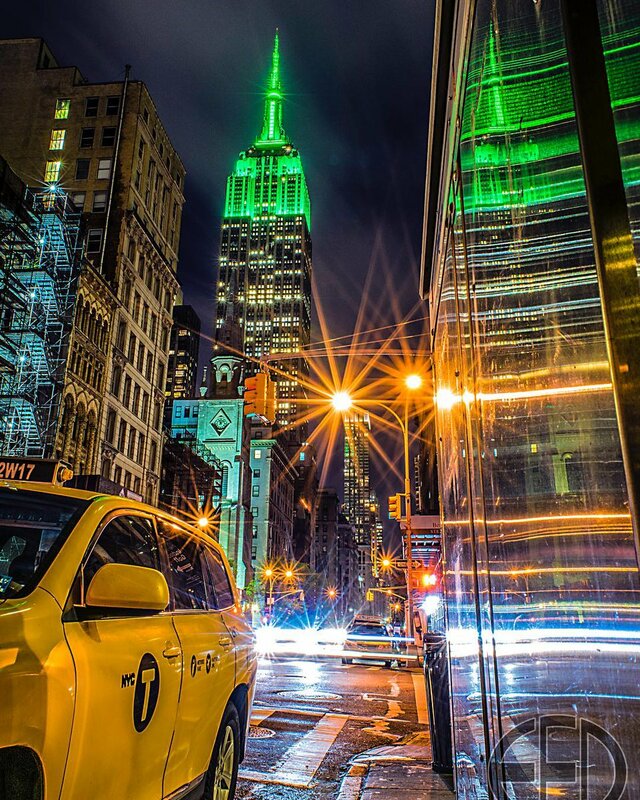 Empire State Bldg‏Verified account @EmpireStateBldgTogether with the @ClimateGroup, we’re going all green tonight in honor of the start of #ClimateWeekNYC! Each year during Climate Week, global leaders come together to showcase climate action and discuss how to do more.